Mehmed the Conqueror's Law of Fratricide states: "Whichever of my sons inherits the sultanate, it behooves him to kill his brothers in the interest of world order. Most jurists have approved this; let action be taken accordingly." The tradition of the "kingdom being the common property of the dynasty," which was a feature of old Turkish politics, continued after the convertion to Islam. Some Turkish rulers chose to divide their country into regions and gave them over to the administration of princes in order to prevent civil war. However, this practice weakened the state and paved the way for its downfall. Thankfully, the Ottomans learned from these experiences. They sacrificed themselves for the state and their people and drank the bitter poison themselves. This bitter poison was the execution of the members of the dynasty for the good of the people, which is also known as fratricide. In his letter to the son of Timur, Mehmed I Chelebi, the fourth sultan of the Ottomans, said: "My ancestors handled some inconveniences with their experience. Two sultans cannot live in the same country." The execution of members of the dynasty for political reasons does not pertain only to the Ottomans. It was also practiced by the Sasanians, Romans, Byzantines and even the Muslim Andalusian states. However, the main reason for this practice in these kingdoms was to take over the throne instead of preserving the unity of the state and the livelihood of the people. On the other hand, thousands of people who died during the long-lasting wars for the right of succession in Europe should be remembered. It is narrated that the first capital punishment ordered within the dynasty was enforced by Osman Gazi, the founder of the Ottoman state, in 1298, for his uncle, Dündar Bey, as he was working on his own behalf and collaborated with the Byzantine feudal lords. During the first few centuries, members of the dynasty became a problem for the state under the rule of almost all sultans. The shahzades (Sultan's sons, princes), who laid claim to the throne, rebelled by being backed up by other Anatolian states or even the Byzantines. Following the Battle of Ankara (1402), in which the Ottomans were defeated, the state fell into an authority gap and the four shahzades of Bayezid I, that each had thousands of supporters, fought for the throne for years . At the end of this civil war, Mehmed I Chelebi, the youngest son of the sultan, defeated his brothers and became the sole holder of the Ottoman throne in 1413. There was no set rule of succession for the Ottomans within the frame of the old Turkish political tradition. Each shahzade was sent to a "sanjak" (administrative divisions of the Ottoman Empire) an equal distance from the capital after the age of 12. They underwent a period of training in a way, and the shahzade who came to the capital first following the death of his father became sultan. However, the famous article from Sultan Mehmed II the Conqueror's Law of Governance states that "Any of my sons ascend the throne, it acceptable for him to kill his brothers for the common benefit of the people (nizam-i alem). The majority of the ulama (muslim scholars) have approved this; let action be taken accordingly." The law did not present a new rule of succession, but formulated that the shahzade who was the luckiest and the most powerful could succeed to the throne and wipe out his other brother who might claim the throne. Thus, the principle of the indivisibility of sovereignty in Islamic law was adopted by Ottoman politics, even if it cost the lives of the members of the dynasty. The executions of shahzades were performed according to the positive law, in other words, according to the Code of Sultan Mehmed II. As in all other monarchies, the ruler holds the judicial power in his hands under Islamic law. There are three different reasons for the execution of shahzades in the Ottoman dynasty. First, shahzades were executed in the case they revolt to capture the throne. A coup attempt is seen as a crime all over the world. Upon the death of Ottoman Sultan Mehmed the Conqueror in 1481, his younger son, Cem Sultan, sent his older brother Bayezid, the next Ottoman Sultan, a message suggesting that they share the country between them. Sultan Bayezid II rejected the offer. He defeated his brother, and Cem Sultan escaped to Europe and lived there for the rest of his life under sorrowful captivity. Some legal experts say execution can be ordered to punish a shahzade if he completes preparations for a revolt against the sultan. Second, there might be no clear revolt attempt but certain signs of an uprising. Disobedience to the emperor through words or action or encouraging the public to rise up in revolt was a crime. When the eighth Ottoman sultan, Selim I, succeeded to the throne, he did not kill his brother Shahzade Korkut, but offered him a governorship position. Some viziers and soldiers from the former sultan's administration sent him a letter saying that they would like to see him as emperor and all conditions were convenient to his succession. Shahzade Korkut unluckily gave a positive response; the sultan saw the letter and ended his brother's life in 1513. Shahzade Mustafa, the son of Sultan Suleiman I 'the Magnificent', was executed for the same reason. Modern law does not specify punishment for criminal plots as long as any preparation is not carried out. However, it is up to the interpretation of theorists and practitioners to decide whether a plot can be considered preparation or action. To illustrate, if three people gather to kill someone, it is not seen as a criminal attempt; however, meeting to stage a coup is a criminal attempt. Shahzade Mustafa and Shahzade Mahmud, the son of Ottoman Sultan Mehmed III, were not personally involved in any uprising, but were unwary. Such reckless behaviors were seen as a threat to the monarchies at that time and led to their executions to avoid possible disorder in the future. Shahzade Selim, another son of Sultan Suleiman I, and Shahzade İbrahim, the son of Sultan Ahmed I , found themselves on the throne with their patience and cautious attitudes even their successions were not presumed due to the existence of their elder brothers. Third, in this example, there is neither a revolt nor preparation. Here there is a legitimacy problem. For many legal experts in the Ottoman Empire, the execution of shahzades was seen as legitimate, as they might rise up in the future. The public always saw the Ottoman dynasty as the eligible holder of the throne. Succession of another person or family outside the dynasty was never conceived. In military revolts, the emperor was threatened by enthroning a shahzade to the throne. Poor shahzades became a potential danger threatening the state and the nation's safety. 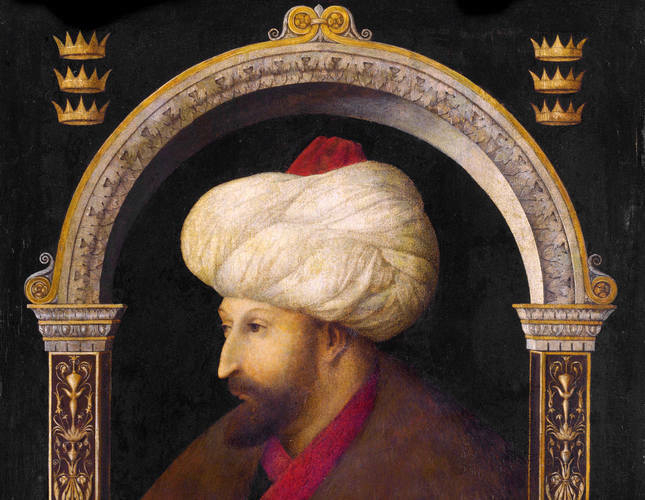 Ottoman Sultan Murad IV sacrificed his innocent brother to suppress a riot as the army wanted to enthrone his brother. Austria's Ambassador Ogier Ghiselin de Busbecq, who stayed in the Ottoman Empire during the rule of Suleiman I, said: "It is an unfortunate thing to be a son of [Ottoman] emperors. It is because when one of them succeeds to the throne, the others then wait for their death. If the emperor's brother is alive, the army's requests never end. When the emperor does not accept their demand, then they cry 'God save your brother,' which shows their will to enthrone him." Some modern scholars consider that the execution of shahzades who did not attempt to incite any riots was legal abuse and against the Sharia law system. The punishment of an innocent person with the worry of a possible crime in the future is against the law in accordance with the princible of "a person is presumed innocent until proven guilty according to the law." Those who see the execution of shahzades justifiable bases their approach on the "maslaha" (the interests of the public) principle in Islamic law. "Maslaha" means placing the public's interest before personal interest in regards to deciding an issue. The Quran specifies that fitna (rebellion, social disturbance) is worse than killing a person. For instance, Ottoman Sultan Osman II wanted to execute his brother when he was going to the Battle of Khotyn to avoid possible disobedience behind. However, Ottoman Shaikh al-Islam (Grand Mufti) Es'ad Efendi did not issue a fatwa, and the sultan took it from Qadi'asker Tashkopruzade. It was very common to see different fatwa interpretations in a case that is not clearly defined in legal references.